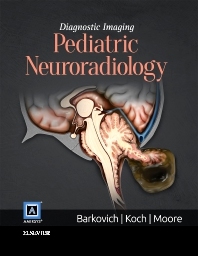 From training to practice, Diagnostic Imaging: Pediatric Neuroradiology is a must have reference for all health professionals who order, perform, or interpret imaging studies of the brain, head, neck, spinal column, and spinal cord in children. This meticulously updated second edition offers the latest knowledge in the diagnosis of all common and many uncommon pediatric nervous system disorders. Each diagnosis includes clinical presentation(s) of affected patients, the best sequences for imaging analysis, expected imaging sequences (in both common and uncommon presentations), and imaging examples of key features. Additional information is included concerning the pathophysiology and pathology of the disorders being discussed as well as basic information concerning the causative genes (when appropriate). Introductory chapters in multiple sections provide background on basic embryology, anatomy, and physiology as well as typical imaging features of normal structures. Highly visual and to-the-point, Diagnostic Imaging: Pediatric Neuroradiology is written in classic Amirsys style–both print and electronic content is viewable in easy-to-read bulleted lists supported by clearly described images.